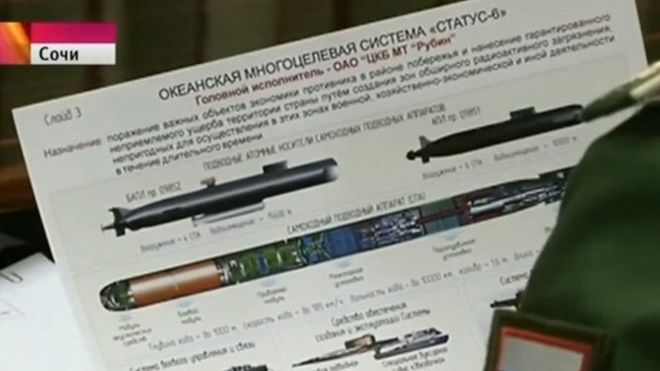 A leaked news of a possible making of a giant nuclear torpedo by Russia has stirred the world. The leaked news is attributed to a photo of one general was seen studying a diagram of the "devastating" torpedo system (photo above). The leak happened during a report on state-run Channel One about President Vladimir Putin meeting military chiefs in the city of Sochi. Launched by a submarine, it would create "wide areas of radioactive contamination", the document says.